Welcome to the best small town in southwestern Ohio! We have a lot to offer: a great school system, affordable housing, job opportunities, a highly rated police force, recreational opportunities and a small town atmosphere. Wilmington High School continues to be rated superior by our state rating system. We also have a charter school that offers a Christian-based education. For those who are interested in vocational education, we have Laurel Oaks with many career paths. Southern State Community College offers associates degrees in various fields. Wilmington College, a liberal arts school, offers bachelor degrees. The most majors now are in agriculture, a field of study with limitless possibilities. The city, Southern State Community College, and Wilmington College have teamed up to offer Wilmington High School graduates a free college education. A graduate from Wilmington High School can receive generous grants, complete two years at Southern State Community College, and then transfer to Wilmington College as a junior to finish his or her bachelor degree. Wilmington College with a special loan that at graduation will be 75% forgiven and the additional 25% forgiven if the graduate remains a resident of the City of Wilmington for two years. Housing opportunities are varied. We have new developments if you are looking for a new house, as well as established neighborhoods in all price ranges. There is also the possibility of combining the two by building a new house in an established neighborhood by buying an in-fill. The City offers a generous tax abatement for in-fill development. We also have numerous senior living and low income housing possibilities throughout town to citizens in need of those housing accommodations. Several local industries are expanded and hiring; Ahresty, TimberTech, AMES, Alkermes and R+L Carriers to name a few. These are all large, growing companies with well-paying jobs. There are several mid-sized and small companies also looking for skilled people to fill their needs. Our police force is well-trained and dedicated to protecting the citizens of our community. We have one of the lowest crime rate for a city our size and in the surrounding area. Our city park system is second to none. Whether its ball diamonds, basketball, tennis, volleyball, fishing or an entire host of other activities, we have a diversified system. We have miles of paved walking and biking paths. This year, we are building a splash park and expanding our skateboard park. However, best of all, is the small town atmosphere, where you know your neighbors, people say hello when you pass on the street, and a 30-minute shopping trip extends to 2 hours when you stop and visit and catch up on the latest news. It’s the kind of place when you put out the word that volunteers are needed there are more volunteers than work. It’s home. The signs at the edges of Sabina say Sabina is “The Eden of Ohio”. That is pretty tall cotton, but for a small village, residents of Sabina have a lot going for us. We are in a great location, surrounded by productive Clinton County farm land at the intersection of two State Highways. We have a great school system. Sabina Elementary School is a part of the East Clinton Local School System, a school system that is large enough to be able to offer a wide range of relevant educational opportunities and provide competitive opportunities in a wide range of athletic disciplines, while small enough that students and teachers know everyone else in their school. Our graduates do exceedingly well in college and compete well in the workforce. Sabina has a superb public swimming pool, a fine Village Park that is in close proximity to the Township Park for sports and family gatherings. We have a nice public library and a historical society with an interesting museum. And we have the brand new “Friendship Trail” for bike riders and pedestrians to enjoy. Sabina has a selection of six friendly churches of different denominations from which to choose. And the fine people of Sabina tend to look out for each other. In short, Sabina is a great place to raise a family. Housed in a modern facility in Sabina is a stat- of-the-art fire department that provides our fire protection as well as emergency care and ambulance service in cooperation with three townships. We are in close proximity to two superhighways that make us less than one hour’s drive from four major population centers. We have a working railroad. Sabina is nine miles from the entrance to the Wilmington Airpark by which goods can be shipped anywhere in the world. And we are not far from a major trucking center that can transport anything, anywhere, anytime. Just outside the village we have a manufacturing company that supplies the automotive industry and one that supplies the appliance industry as well as three that support the agricultural industry and a modern machine shop within the village. In short, Sabina is a great place to start a business. The Mayors’ door is always open. If you are looking for a house, or a place to build a house, or a job, or a building to start a business, or if you just want to stop in and visit. Come in and be a part of Making Sabina Great Again! Welcome to the Village of Port William! 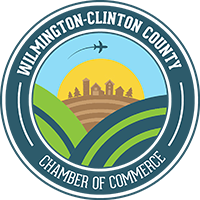 The Village of Port William is lined with charming houses and mature trees nestled in the northern part of Clinton County between the cities of Wilmington and Xenia. I invite you to enjoy the tranquility and peacefulness that goes along with living, working and playing in our community. Relish the view while you stroll along Anderson Fork Creek, listen to the soothing sound of water flowing over the dam, savor the smell of smoked meat coming from the Community Market, engage in a friendly game of basketball, participate in making hand crafted items at our Senior Citizen Center, entertain yourself by fishing along the bank, feel safe and protected by the local police and fire department, sing in the church choir, enjoy a conversation with some of the nicest people in the county, and much, much more. Our rich history and the strong community bond formed here from generations of residing families makes the village truly unique. Village Council and I are dedicated to preserving and enhancing this quality of life by providing fiscally sound and responsive leadership with the highest degree of integrity and efficiency, so that it continues to be a great community. I hope that you will love our village and I encourage you to take advantage of the many opportunities that await you here. Greetings from Blanchester! I would like to offer a warm welcome from all the businesses and residents in the Village of Blanchester. As we embark in 2017, it is my hope you will join in our vision to bring growth to our community. I recognize that a community’s success is often determined by the support it receives from its business and residents alike. It requires a vested interest from both. Many move into a community with every intention of planting roots, and becoming part of something bigger; they are our future. As mayor, I value our future, those who come with a vested interest in our community. To the businesses and residents who support our community, our schools, I say, “Thank you.” I want to invite the entrepreneur to come and build a future in our Village. We are looking for ways to continue to make Blanchester a location that will attract new business; a place where couples will want to live and raise a family for generations to come. It is important each of us realize that Blanchester is our community. If you desire to see growth, come join us. I encourage our residents to support the businesses we currently have. We have been blessed with businesses that make sacrifices very day to be a part of our community. We should support them as often as possible. Supporting our local businesses is what keeps a community strong. Through change we are working to improve the quality of life for our businesses and families. I’d like to challenge everyone to make a difference. You can be a part of a community that is full of potential, a village established in history, a community that is looking toward the future. As we get very close to the completion of our Center Street and East Main Street project, we see how this project has improved just one small portion of our community. This project could not have been accomplished without OPWC Grant and Loan funds. Very soon we’ll begin to see improvements starting on North and South Broadway. This project will entail new curbs, gutters, drainage between Burrows Street and Blane Avenue. The project will also include a beautification portion in our downtown area between Center Street and the Railroad Crossing. This project is also made possible through the approval of OPWC Grant Funds. Our project will run in conjunction with the Ohio Department of Transportation resurfacing project on State Route 133/123. Once again, I invite you to come be a part of a village that desires a better quality of life for everyone. So, come join us! We’d love to have you be part of our community.